Our Rottweiler male Bongo has 100% (ADRK) German pedigree and in Bongo's pedigree, you will find some of the best dogs Germany has ever produced! Bongo is a super friendly, very large (68cm) tall and (55kg) male rottweiler with a ton of prey and ball drive, very wide chest with strong bones and very clearly defined rich mahogany markings. Bongo has dark eyes (2a), dark (black) mouth pigment, large, typey head with a very good stop and a scissor bite. Bongo's sire is Arkan vom Räuberweg, son of WORLD FAMOUS Lennox vom Weissen Schwan. His dam is the very beautiful Emma von der Mattesburg, daughter of WORLD FAMOUS Lacky von der Südpfalz. I feel very fortunate to own and have been a co-breeder of Bongo. 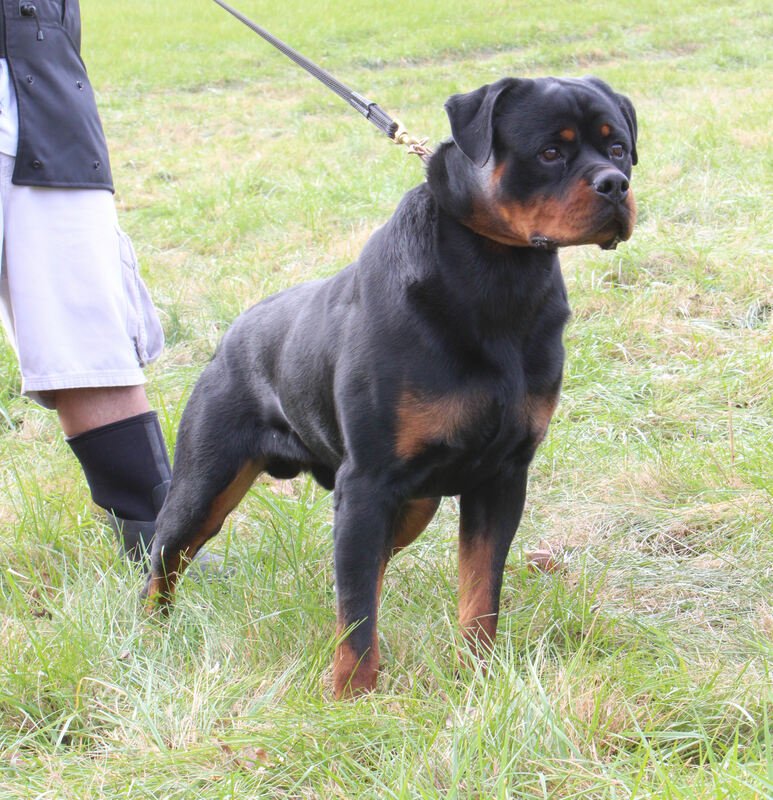 We have high hopes for Bongo and think he will do very well here at vSD rottweilers, Bongo has already done very well in the show ring as a younster.